If you are starting a business in South Africa, it is important to structure it properly. In a way that gives you flexibility and protects your assets. Do you need multiple entities? Who is going to actually contract with the customer? What about a trust? How are you going to source the goods and services you need to in turn deliver to your customer? How are you going to create a channel to your customer? Do you provide goods or services to your customers? How do you structure a global business with BBBEE in mind? Many existing South African companies do not have an international strategy. However, many of them see South Africa as a good place to develop and test their idea (or technology) before taking it overseas and scaling it. “Hit the big-time” in other words. Many South African businesses only think of an international structure when they get interest from customers located outside South Africa. For various reasons, it really does not make sense for a South African entity to contract with a customer situated in London or New York for example. Often, the customer will also be reluctant to do so. Unfortunately, for existing companies in South Africa at this point it is really too late to set up an international structure. The reason being that your intellectual property (IP) is in South Africa and you can’t just take it out. The best time to set up an international structure is right at the beginning when the business starts. The problem with this is that when the business starts there often isn’t very much money and the idea has not been proven. So what are the benefits of an offshore structure? Why have an international structure? Ok, you’re sold – now what is the best structure to have? 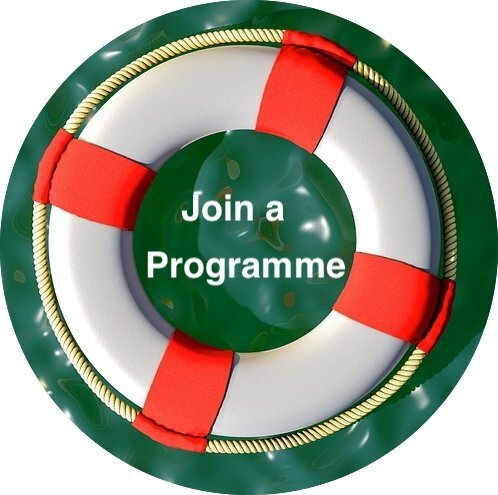 How we can help you structure a business? Keep you up-to-date with recent developments about a business structure. Whether you are a new or existing business, we can help you work out the best structure for you. We can consult with you and advise you. If you are an existing business, we can advise you on possible ways to get your IP out of South Africa whilst staying within the bounds of the law. We can provide you with a Guide on How to Structure your Business, which includes a diagram of the ideal structure. We can then quote to consult with you to answer your questions and help you to apply the information in the guide to your specific circumstances. We can also then draft a diagram that sets out the best structure for you. 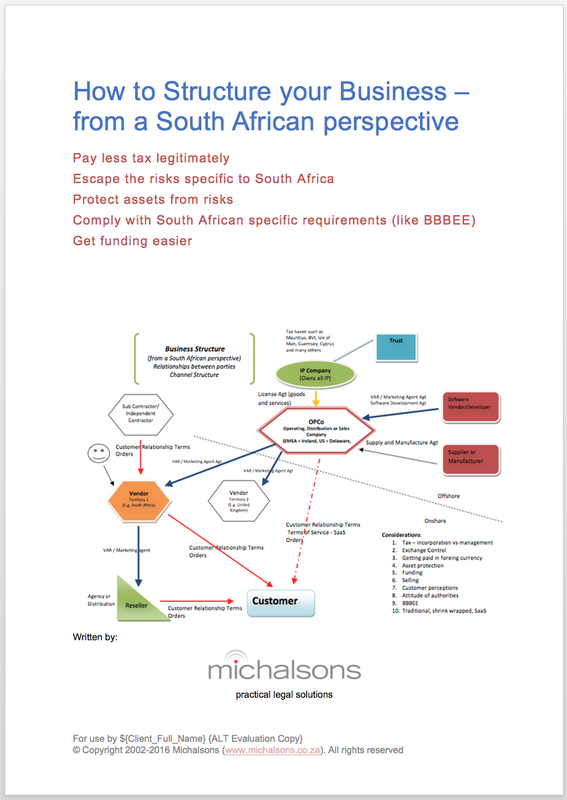 If you already have an existing business in South Africa with customers and IP in South Africa, the Guide covers three options available to you, as well as the process to transfer or ‘export’ the IP. We also draft the various agreements that are required to set up the structure you decide to use. They are all interdependent. We do not give tax, financial, exchange control advice.